Parishioners from the combined Templemore Church of Ireland group of parish churches (Representing Templemore, Thurles and Kilfithmone) held a special service in St Mary’s Church, Templemore, Co. Tipperary on Sunday last (March 15th, 2015). Those who attended this service got an eagerly awaited opportunity to thank, most sincerely, the Rev. Ian Coulter and Diocesan reader Mr Charlie Wallace (Templemore) for looking after this combined Parish group during their most recent vacancy; same brought about by the retirement of Rev. Peter Massey Cole-Baker. Rev. Ian, trust you will continue to visit us here in Tipperary, into the future, on a regular basis. A new ‘Priest-In-Charge’ has now been appointed to the Templemore group of churches and a big welcome is currently awaiting the newly appointed Rev. Alison Seymour-Whiteley. Rev. Alison will be introduced to the Templemore group of churches for the first time on Friday next March 20th, 2015 at a service in St Mary’s Church, Templemore at 8.00pm. All are welcome to come along and join the celebrations, noting later that tea will be served, following this ‘Welcome Service’, in the Templemore Arms Hotel. 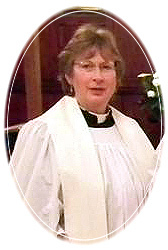 It should be noted that the Revd Alison’s husband, the Rev Richard Seymour-Whiteley will also be instituted as Incumbent of the Rathdowney, (Co. Laois) group of parishes on the following Sunday, March 22nd, 2015, at 7.00pm. Rev. Alison, you are most welcome to Co. Tipperary.